Each shopping center offers a variety of sizes and layouts, from large spaces and in-line retail units to smaller, common-area set-ups. Each space is well-suited for new product launches, special events or promotions, plus innovative experiential activations that showcase the brand and increases visibility. Spaces can be booked for as little as one day or as much as a few months. Storefront supports tenants who book through its site with a range of resources to fully optimize the business potential of the space before, during and after occupancy. 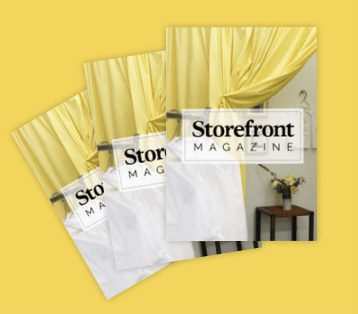 Storefront is redefining how companies can locate and activate temporary retail space with its global marketplace for connecting tenants and property owners in an efficient, flexible and transparent way. Brands and retailers of all sizes have embraced the short-term storefront model to deepen their relationships with customers and reach them in ways not possible through online channels. The pop-up concept enables companies to create visibility and interact with consumers by providing a tactile, human experience that strengthens their brands, drives engagement and increases sales. Storefront is the world’s largest marketplace for short-term retail spaces. The platform connects brands, e-commerce businesses and artists with space owners for temporary rentals. Storefront makes commercial real estate easily accessible for anyone looking to organize events and create pop-up stores around the world. Since its launch in 2014, Storefront has supported more than 100,000 brands across the world’s largest cities, from Paris to New York to Milan, London and Hong Kong. The platform now has the largest network of commercial spaces available for short-term rental with more than 10,000 listings.